Friday December 21st 1883 I was busy all morning making a white apron to send to Vene for the baby. I went over to Hatts about two oclock and was all the afternoon fixing up a package to send to Vene and the children. I got home just at eight, worked on my edging all the evening. 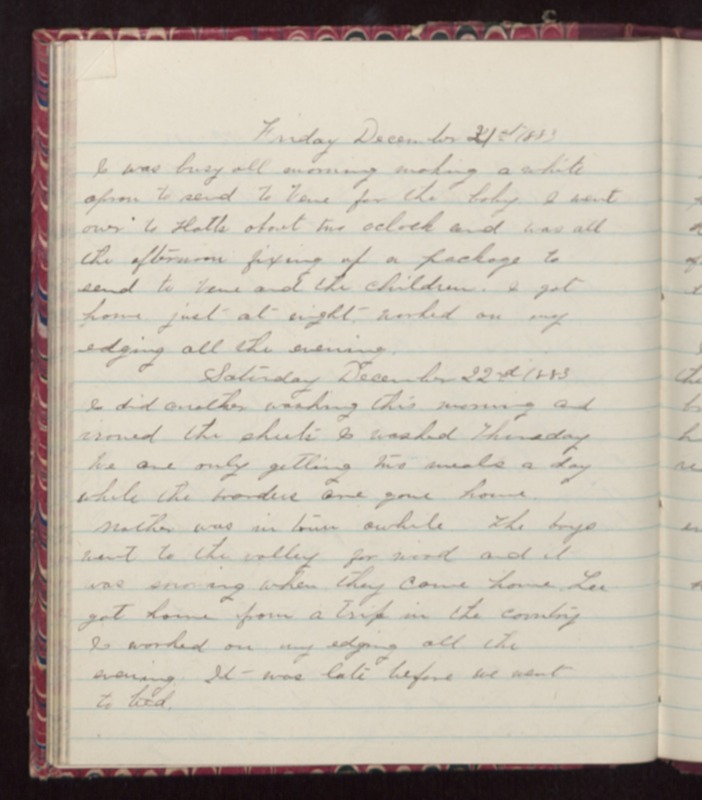 Saturday December 22nd 1883 I did another washing this morning and ironed the sheets I washed Thursday We are only getting two meals a day while the boarders are gone home. Mother was in town awhile. The boys went to the valley for wood and it was snowing when they came home. Lee got home from a trip in the country I worked on my edging all the evening. It was late before we went to bed.